17th International Biennial of Young Artists from Europe and the Mediterranean, will be held in the Italian city of Milan in October 22 to 25, 2015. More than 300 artists will bring together in the event. Turkey selection of the Biennial was elected by a commission formed by the Sabancı University. Gökçe Er and Gökçen Dilek Acay will participate to the Biennial. 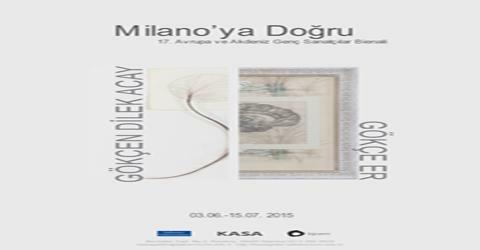 The artists' works can be viewed before Milan in Sabancı University Kasa Gallery from June 3 until July 15.